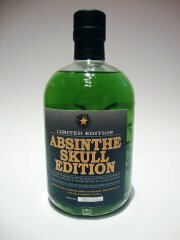 Absinthe in a skull - sounds a little too goth to be good right? But as it turns out, Oliver Matter did it again. As always. At one of my visits to the Matter distillery in Kallnach, Switzerland I saw this bottle on the shelf. 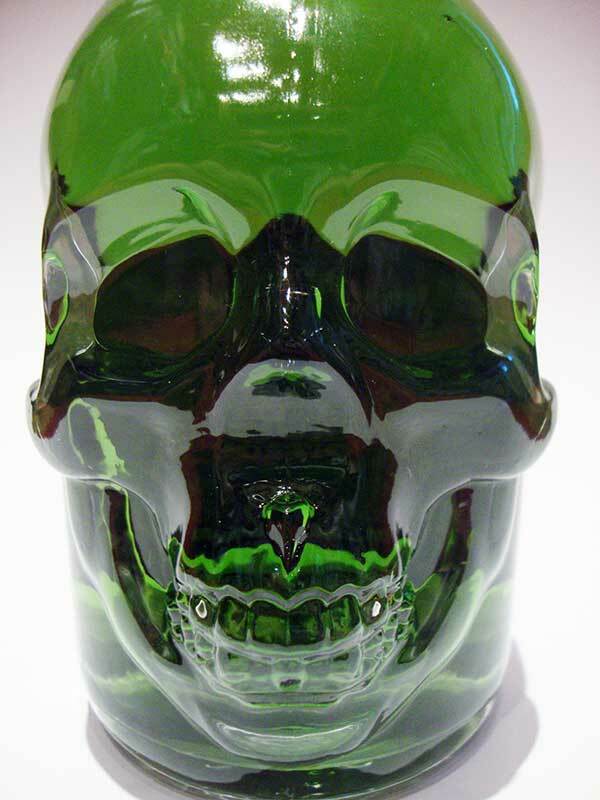 With the bottle shaped like a skull and all I had to ask what the hell it was. Turns out it's a limited edition production of only 120 bottles for the Twin Tec Motorcycle Club. That got me going... 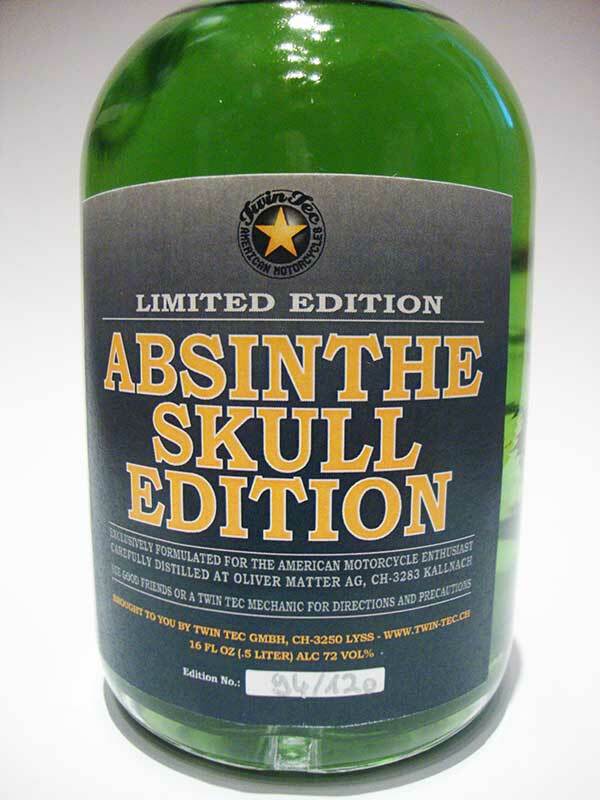 The "regular" Twin Tec Biker Medicine Absinthe is an absolutely wonderful absinthe so if this would be anything like that, I had to have one, regardless of the skull. 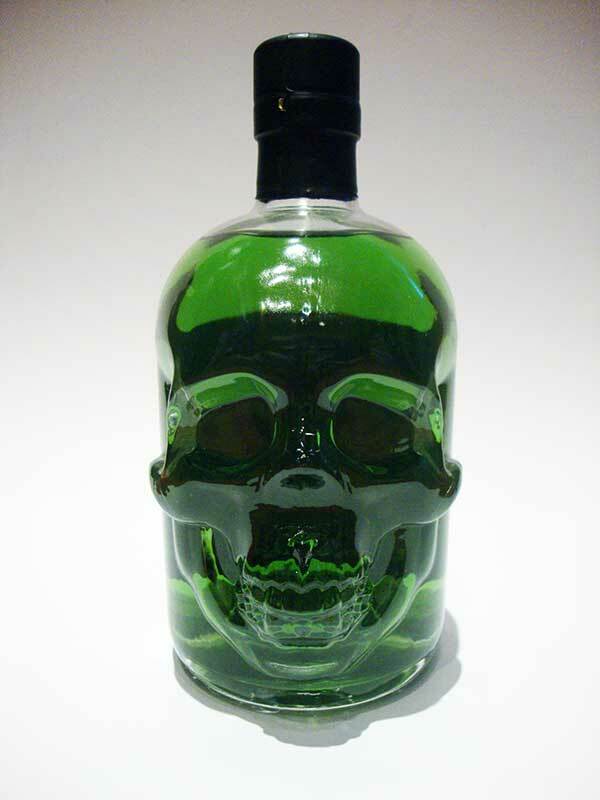 The color is as usual an absolutely excellent green and sadly I have to admit that the bottle looks quite nice with that absinthe green skull. Pouring it in my tasting glass instantly presents a wide spectrum of scents and it's very inviting. Putting the nose deep in the glass does give a good bit of alcohol in the aroma but it's not overpowering and is quickly masked by the wonderful perfume of wormwood. Tasting it now again, well over a year since I last tasted it, the fennel and anise have mellowed and obviously went off to get married. They make a damn fine match and wormwood seems to the best man. The holy trinity is there in all its glory. Of course, this reminds a whole lot of the Twin Tec and probably it is the exact same recipe but the herbs come out a bit differently, so there may be a variation in source or simply time of year for certain herbs. Dripping iced water into the absinthe slowly produces a perfect louche, rising from the bottom, keeping a clear unlouched layer on top all up until an exact 3:1 ratio of water. Being that this is a 72% absinthe it needs a bit more water in my opinion, so - I add some more. The water further opens up the aroma and there's some Angelica showing in there. It has aged very gracefully and everything is in smooth harmony. Taking a whiff is like the spring breeze in the Jura mountains. Really fresh, full of perfume and very soothing. The mouthfeel of this biker absinthe is very nice. It's full and extremely smooth and creamy but in the end there's a slight bitter bite that lingers for a while. It's nothing too much but a bit more than I'd really want. Which brings us on to the taste... It has a very easy taste to it. 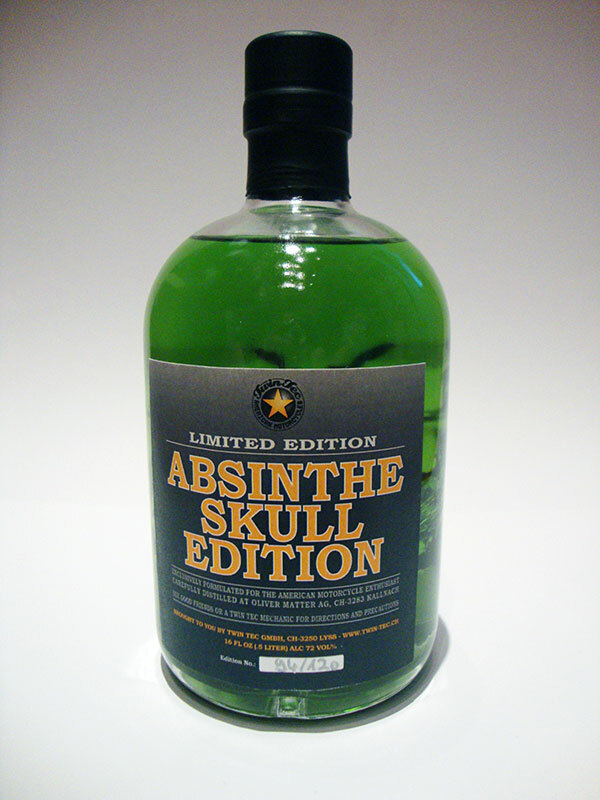 Even though it's a very complex and interesting absinthe it's very easy to drink. I guess some would like it with sugar because of that slight bitterness but it's really nothing bad. It's perfectly balanced not to be overwhelming. So, for an absinthe that is extremely close to the Twin Tec which is a personal favourite of mine, I'd score this very high. I've had it for a couple of years and that time has treated it well which further shows the craftmanship put in to it. There are no more bottles of this available but if you get the chance I'd still recommend you to find the Twin Tec Biker Medicine which is every bit as good and maybe a little better. Matter did it again and those bikers... they have impeccable taste.